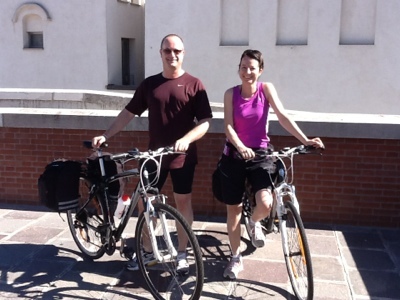 Picture from pick up delivery of high quality bicycles and accessories at Piazzale Roma in Venice. Our customers take a boat and will ride Croatia with our bicycles. At the end of rental will come back to Venice by ferry from Porec.